"Stan The Man" Engdahl was a dirt track racing legend not only in the Midwest, but throughout the United States. His phenomenal racing career spanned an incredible 60 years from the 1940's to the 1990's. During that time, Stan won more than 600 trophies, including 5 National Scramble Championships and 16 Kansas State Championships. Every trophy and championship Engdahl has won was accomplished on a Harley Davidson K model motorcycle. Stan Engdahl was born on November 23, 1928 to Carol and Hulda Engdahl. He was raised as an only child on the family farm northwest of Marquette, KS. Upon high school graduation in 1945, Stan attended Kansas State University where he studied Mechanical Engineering for one year. In 1946, Stan returned home to Marquette so he could help his parents with the family farm. He also worked in the construction industry. Endahl married LaVona Loomis of Marquette, KS on August 9, 1952. That same year, Stan was drafted into the United States Army. He spent most of his military career in El Paso, Texas where he attended an electronics school run by the Philco Radio Corporation. He was honorably discharged as a Corporal in 1954. After he was discharged from the military, Stan and LaVona returned home to Marquette, KS where he started his own radio and television repair shop. He built a motorcycle shop in the back of his business. Engdahl did all of his own mechanical work and modifications on his cycles. His motorcycle shop was filled with spare parts and special testing equipment, several of which were designed by Engdahl himself. Stan started competing in dirt track racing in 1946. "I went to my first dirt track motorcycle race in Topeka that year. I thought it looked like a lot of fun and I thought I could race cycles, too," said Engdahl. "I laid out a dirt track on my Dad's field in the winter, and then another one throughout my Dad's orchard in the summer so I had a place to practice. As I look back now it's a wonder I didn't get killed running through the trees." Engahl won his first Scrambles race at Kanopolis Lake (Kansas) in 1948. He raced primarily in Kansas, Oklahoma, Nebraska, Missouri and Colorado from the late 1940's to the 1990's. He was a Five Time National Scrambles Racing Champion in 1968, 1969, 1970, 1972, and 1974. He also earned sixteen state (Kansas) championships during the 1960's through the 1970's. Engdahl estimates that he placed in over 600 of the 700 to 800 races he competed in. He credits his wins to the innovative and creative ways he and his pit crew came up with new ideas to make the motorcycles lighter and more powerful. According to a Salina Journal newspaper article written about Engdahl from August 24, 2004, Engdahl and his crew "ran the oil through the motorcycle frame, which eliminated the weight of the oil pan. They hollowed out bolts, changed the engine timing, and regularly monitored the horsepower." Engdahl cut extra grooves in the tread of his tires or sanded down certain parts of the tread to handle the corners better. He was also known for making oil tanks out of old shot up road signs. Engdahl's racing reputation as one of the most passionate and toughest dirt track racers in the United States was never more apparent than when he won the Kansas Scrambles Championship in 1962. He won this Championship with two broken bones in his right leg following a racing accident a few weeks earlier. "The race officials weren't going to let me race in Wichita that weekend because I couldn't get protective gear on over my cast", Engdahl said. "I finally convinced the officials to let me race, but I had to sign a special waiver before they'd allow me on the track." He taped a piece of wood to his leg to reinforce the cast and then tied his leg to the frame of his motorcycle prior to the race. "The officials thought I was nuts…they might have been right….but I won my third state championship that day," stated Engdahl proudly. "The race was a fundraiser for the Kansas Institute of Logopedics in Wichita…I was determined to win that race for all the crippled children who were in the stands that day." Engdahl fulfilled one his racing dreams when he and his wife traveled to the Daytona Beach, Florida for the 200 mile National Championship Road Race in 1963. He finished 35th out of 97 entries, even though he had to push his motorcycle approximately ¾ of a mile when a chain broke near the end of the race. Engdahl retired from racing in 1993 at the age of 64 due to physical complications with his hips. He had replacement surgery on his left hip a few years later. However, motorcycles still continued to be a very big part of Engdahl's life, even after his retirement from motorcycle racing. Stan and LaVona Engdahl were instrumental in opening the Kansas Motorcycle Museum in the spring of 2003. They have actively promoted the motorcycle industry each and every day, seven days a week, through their volunteer work at the Kansas Motorcycle Museum in Marquette, KS. They generously donated over 1,400 hours a year as the Museum curators and tour guides. Engdahl's great storytelling ability, motorcycle knowledge, and his passion for racing have been shared and enjoyed by over 21,000 visitors to Marquette over the past three years. 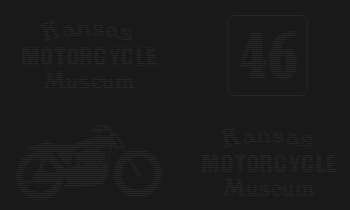 Tourists and motorcycle enthusiasts alike have come from every state in the nation as well as many foreign countries, including the Netherlands, Germany, Iraq, Canada, Great Britain, Russia, Australia, and Sweden to visit this unique museum in the heart of Kansas. The Kansas Motorcycle Museum Board of Directors strongly credit the Museum's popularity and continued growth to Stan and LaVona Engdahl. Since the Museum's opening in 2003, over 22,000 visitors have stepped through the Museum's doors. A new addition is now being built which will house a motorcycle shop, public restrooms, and another exhibit room. Stan was also dedicated to his community of Marquette, KS. He served on the City Council for three years and remained actively involved with the Marquette Chamber of Commerce. He was proud to be a volunteer fire fighter and was the Marquette Fire Chief for over 30 years. On Monday, November 12, 2007 Stan Engdahl collapsed after supervising a small house fire in Marquette. He passed away from a massive heart attack at the Lindsborg (KS) Community Hospital that afternoon. However, his legendary motorcycle racing career and his passion for the fire fighting will continue on through the memorabilia at the Kansas Motorcycle Museum. He will be greatly missed by many friends and the motorcycle racing world. LaVona Engdahl continued her dedication to the Kansas Motorcycle Museum, even after Stan's death. She faithfully opened the Museum to the public seven days a week - 8 hours a day until her death. Sadly LaVona passed away on January 1, 2014. The Kansas Motorcycle Museum Board of Directors are dedicated to preserving Stan's memory and the history of motorcycles for many future generations to come.